Fake news is a term thrown around all too often because it’s so easy for a story to spread on the Internet. Stories about conspiracies, random encounters, and things that are just plain made up have gone viral. Fake news is a serious problem and something that you should be aware of. Many stories have surfaced with false claims or taking quotes out of context to create a story that meets their agenda. It’s your responsibility to verify that what you’re reading is true. Learning how to distinguish between fact and fiction and media literacy is something that many people do not have. It’s essential to examine the facts in a story and look for a primary source to back that point up. Melissa Zimdars, a professor of communication and media at Merrimack College in North Andover, MA noticed that her students were citing sources that were not completely credible or outright fake. There are some things (featured at the end of this post) that you can do when reading news stories online to differentiate between what is fact, and what is opinion or satire. First, take a look at this infographic from LouderWithCrowder, that illustrates the key statistics on how the public has received, perceived, and responded to fake news they’ve come to encounter in their daily lives. Established news organizations have their own websites and domains that should look professional. The URL should simple and the site should generally have a simple .com, .net, .gov, or .edu extension. An extension such as .com.co might not be reputable and require additional digging to determine the site’s validity. Appearance alone will not tell you if a site is genuine. Reputable organizations should have an about us page giving information about the company, who is in charge, and an ethics statement identifying what the organization stands for. If the section seems exaggerated, take a second look to verify that you’re on a reputable news website. It’s very easy to take pieces of what someone says and put them together to make a quote that seems legitimate. A story should have at least a few quotes from experts, professors, or others well-versed in the subject area. Do a deeper investigation to find where the quotes came from or if the person quoted is who they say they are. Look at the title and verify the story with a Google search. Public officials often have every word that they say in a speech or statement recorded in a transcript. Check that the quote in the story was reported correctly and not taken out of context to completely change the meaning of what was said. Fake news sites tend to create an exaggerated headline to encourage users to click the link. The problem is that many times these headlines don’t accurately depict what is in the story. If there is something wrong with the story, other commenters will likely be quick to point it out to refute the claim. Look at the pictures used in a news story online. Right-click the image and select to search Google for the site. If the picture appears in too many stories, it’s likely that it isn’t taken by the organization and might not be related to the story at all. These tips are only a few to implement when reading news online. 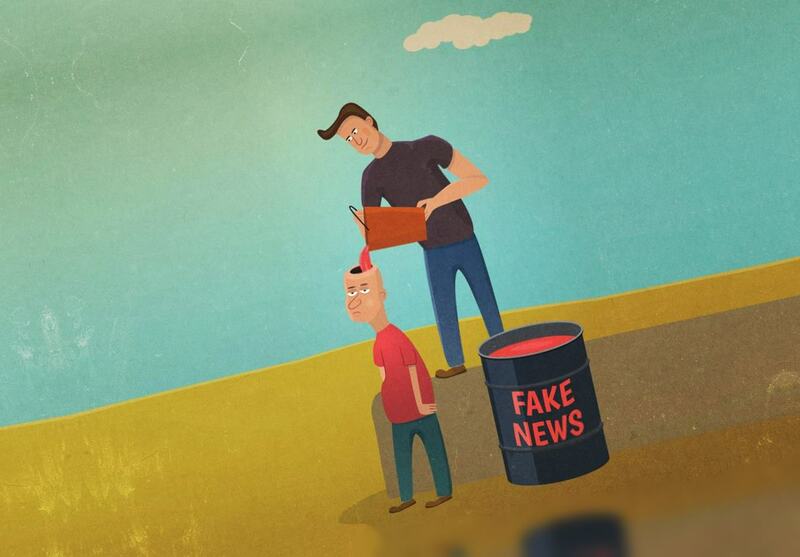 You’ll help yourself and others by ensuring that you’re educated and don’t contribute to the spread of fake news stories. Drew Bishop is a contributing writer and media specialist for Louder with Crowder.